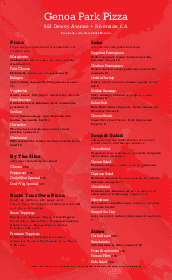 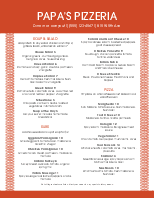 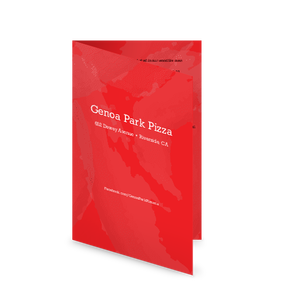 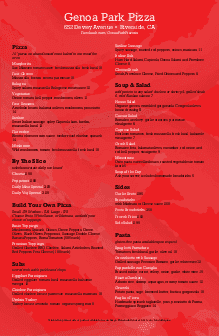 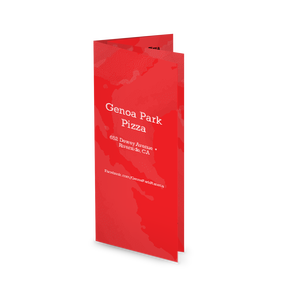 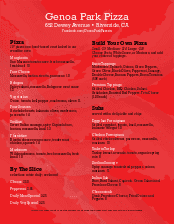 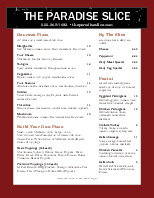 A New York Pizza Menu template with mouthwatering hot pizza slices in each corner. 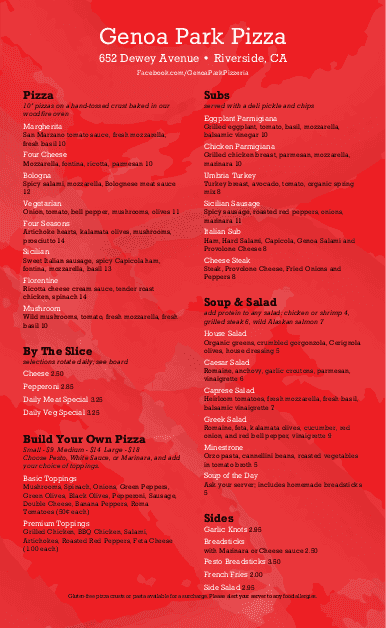 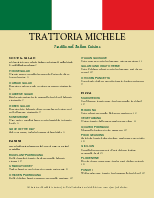 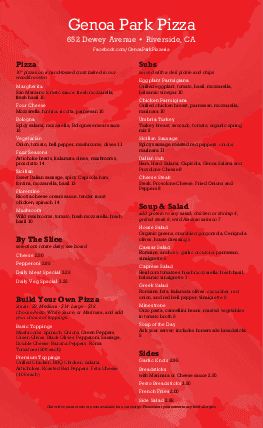 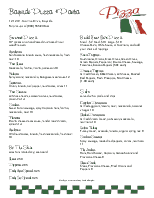 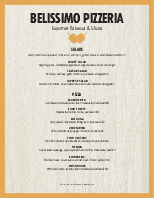 The landscape-oriented page in legal size has three columns for pizza and sandwich specialties. 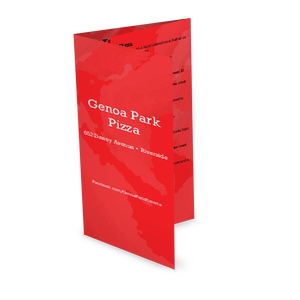 A red center panel features the restaurant name, and the page can be customized for any type of pizzeria.